Want to know what is going on in Capreol, check out our Community Calendar for up to date events. On a very cold evening, a few brave souls ventured out to our CAN meeting on December 15. A regular type agenda was followed with Introductions, Presentation and Reviews. All-in-all , 2016 was another successful year which will be made even better in 2017 by actually getting work done on the Community Improvement Plan (CIP) Waterfront project. See what Mike Jakubo has to say! 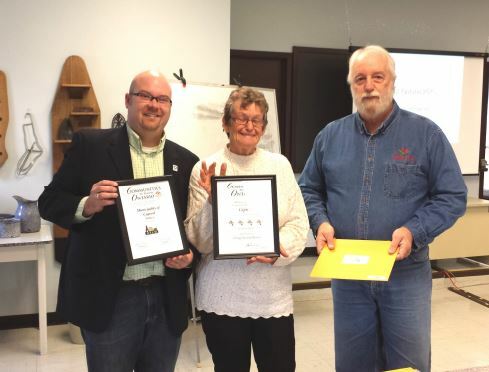 Capreol Honoured with Communities in Bloom Award On behalf of the Communities in Bloom committee for the town of Capreol…..